We offer aquaponics classes for everyone. Whether you are a beginner, hobbyist, educator, urban farmer or commercial farmer, there's a class for you. 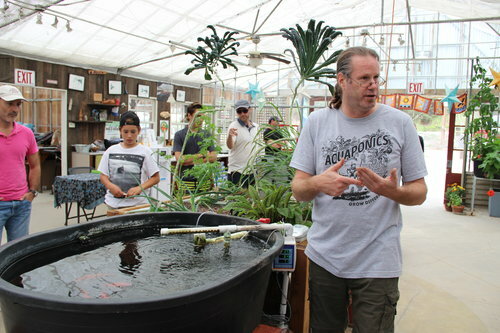 Ken Armstrong, founder of Ouroboros Farms, conducting an Aquaponics Farming class in our education center. 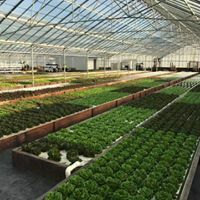 Our classes are taught by our team at Ouroboros Farms who are experts in the field of Aquaponics. Click below on the class you are interested in. You will be directed to our booking page for additional details, dates and availability. We are located on the beautiful Northern California coast in Half Moon Bay, just 40 miles south of San Francisco. If you are travelling from outside of the area, you have easy access to the beautiful, vibrant San Francisco Bay Area.